Comment: Good Clean Condition. Satisfaction Guaranteed or Your Money Back! 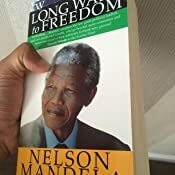 Start reading Long Walk To Freedom: The Autobiography of Nelson Mandela on your Kindle in under a minute. In the wild animals kill each other for meat, only because they are hungry! They very rarely kill out of spitefulness! But man, the atrocities man inflicts on his own kind are just unbelievable! The fact that man knows right from wrong proves his intellectual superiority to the other creatures; but the fact that he can do so much wrong proves his moral inferiority to any creature that cannot! Of all the animals, man is the only one that is cruel. He is the only one that inflicts pain for the pleasure of doing it... needless to say that Mandela, a black man in his own country, in his own continent was put to prison for 27yrs by a white man! 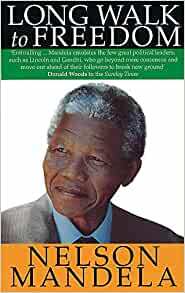 However the book shows how smart and highly intellectual Mandela was, he enjoyed reading, studying and finding out things even as a young man, and that's probably what kept him ''occupied'' in that tiny little cell on Robben Island. Long LIVE Madiba, LONG LIVE! I bought this book to find out more about Nelson Mandela, apart from the news reports and the usual hyperbole, I knew next to nothing about his life. An excellent and ‘easy’ read, you can hear his voice and see his face as you read, honest with the confidence of someone who knew he was on the ‘right side of history’. He communicates easily with genuine compassion. The middle part of the book, his time in prison, is written with complete authenticity and such vivid clarity, virtually every paragraph makes you take a breath. You read how he kept his dignity, integrity and above all his humanity in the fight against a racist police state. He comes across as very stubborn, educated, tough and articulate but above all a humanitarian, something other ‘freedom fighters’ could learn from. A long read but highly recommended. I have only just started reading this book, it is a very detailed work and as such demands and deserves full concentration. 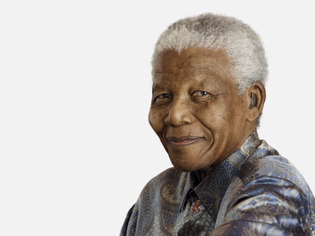 Having now learnt about Mr Mandela's childhood and the struggle of life under apartheid, it seems unbelievable that he would rise to become the leader of his country. It is a truly personal story of endurance and courage and I look forward to reading more, when tolerance and forgiveness will, I am sure, be delivered in this unique life-story. This brilliant riveting memoir has given me an enthusiasm for a book that I have not had in a very long time. Highly recommended. A classic in its own right this book is a fascinating account of one of the most important figures in the 20th century. This biography is interesting both for its interpretation of the recent history of South Africa but also for the deep personal insights into the person of Mandela. I read this book as an academic resource but it is written in such a readable way full of personal anecdotes that it's accessible to most readers. The biography covers all of Mandela 's life from childhood right through to his presidential inauguration tracing the development of his character and ideology. It gives a clear primary account of what role Mandela played in the forming of the Youth wing of the ANC, forming its policy throughout the 50s and 60s, and his experience in prison. The only caviet I would give is that this is a long book which can feel slightly repetitive in certain chapters but if you want an authoritative account of Apartheid and Mandela this is certainly worth the time. This is an excellent audio CD. Read by Danny Glover its tells the story of Nelson Mandella in Nelson's own words. Starting from the very humble beginnings its tells of Nelsons journey from his tribal start through his joining the ANC, his reasoning into why he started a small army set upon sabotage, his arrest, trial and release. What comes to front of your mind is Nelsons unbelievable belief in what he is doing. He has a vision in mind for how he wants South Africa to be and nothing can shake this. All of his actions are taken in alignment with this belief. As he has, he is willing to give his life for his people and he is willing also to die for his people. The story has many fascinating inside some personal such as his family life and marriages, and some quite deep insight into how a man becomes a leader. The only downside to this audio CD for me , was the sometimes monotonous and uninspiring voice of Danny Glover (Lethal Weapon) a strange choice for such an inspiring speaker, and the difficulties I particular had with the pronunciation of South African names and places.